Lost car keys? Need a Spare car key? Need a Replacement Car Key? Local Locksmiths can help you get back into your vehicle and provide you with a spare. If you rely on your car for business travel, for ferrying the kids around or just for getting around yourself, then losing a car key is never a good thing. Luckily Local Locksmiths offer a mobile locksmith service to help you get back into a locked car and get swift car key replacement. Modern cars usually have a transponder key which emits a signal to talk to your car for improved security. When you unlock the car or put the key in the ignition, the key sends a message to the vehicle to give it permission to let you in or start the engine. Many cars work on a system where you press a button on the key or a separate fob to unlock the doors. And then put the key in to start the car. However, some newer cars now work on a keyless entry system. Unlocking the car is activated simply by having the key fob in your hand, pocket or bag within range of the car. Transponder keys are specifically coded to your car to work. This stops other people with a similar make and model being able to enter your car either deliberately or by mistake. Car dealers will often charge you a lot of money to get a replacement or spare transponder key, but Local Locksmiths offer competitive prices as an alternative. Contact us today to talk about getting a set of keys for your vehicle – we have the technology to code keys for any make and model of car. If you have lost your car key, you should contact your insurance company as soon as possible. If someone has stolen your car keys, do call the police to inform them. Then, give us a call to get you back into your car and get your replacement car keys sorted. We can arrange new keys for you that fit your current locks and are coded to your car. If the lock has been damaged, we can fit new locks before creating new keys. Your insurance company may pay for the replacements for you. We work with all of the major insurance providers including AA, Tower and State. Don’t be stuck outside your car – get a duplicate key to keep spare. Do you only have one key for your current vehicle? It will pay you to get a duplicate car key made in case you lose one, or it stops working for any reason. Your local car dealer might charge you a lot for a second key. 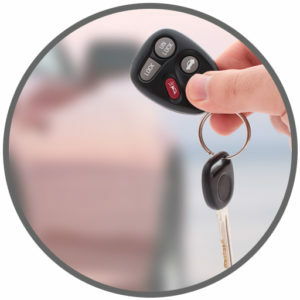 But we can provide you with duplicate keys for a reasonable price – and code them to your vehicle for you. Are you getting new keys made because you have already lost one? Then talk to us about getting a spare made at the same time to prevent the problem from happening again. For all your automotive key requirements, give Local Locksmiths a call. We’re here 24/7 to help you.